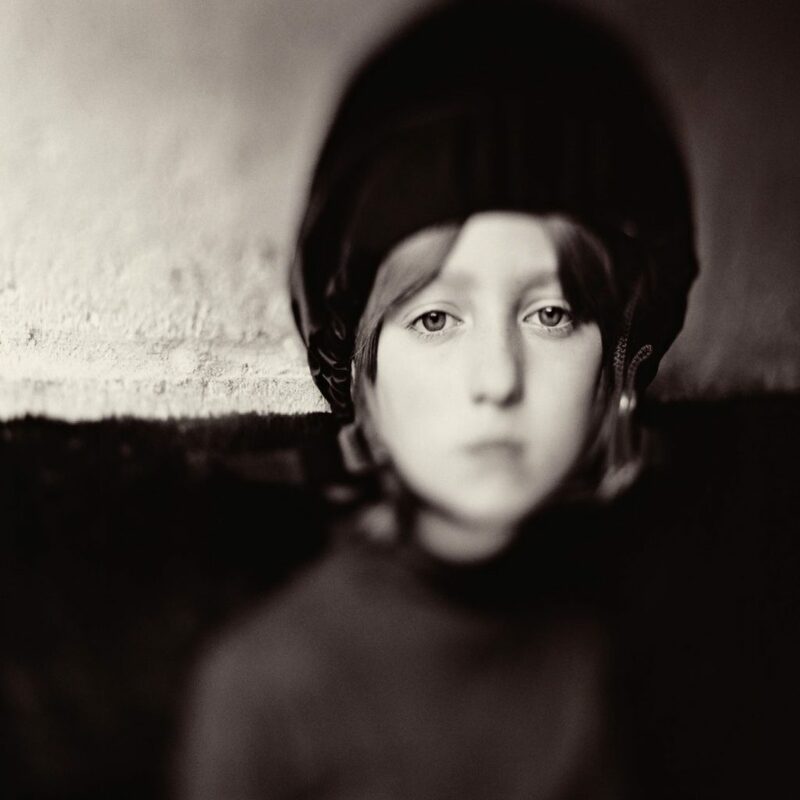 Keith Carter emerged from humble beginnings to become an internationally recognized photographer and educator. Eleven monographs of his work have been published and his photographs are included in the permanent collections of numerous prestigious museums. Carter’s introduction to photography came through the talent and ingenuity of his mother. When she found herself solely responsible for the care of her family, she turned to photography as a way to provide for her three children. In turn, her efforts also inspired the creative endeavors and work ethic of her son, who is entirely self-taught. 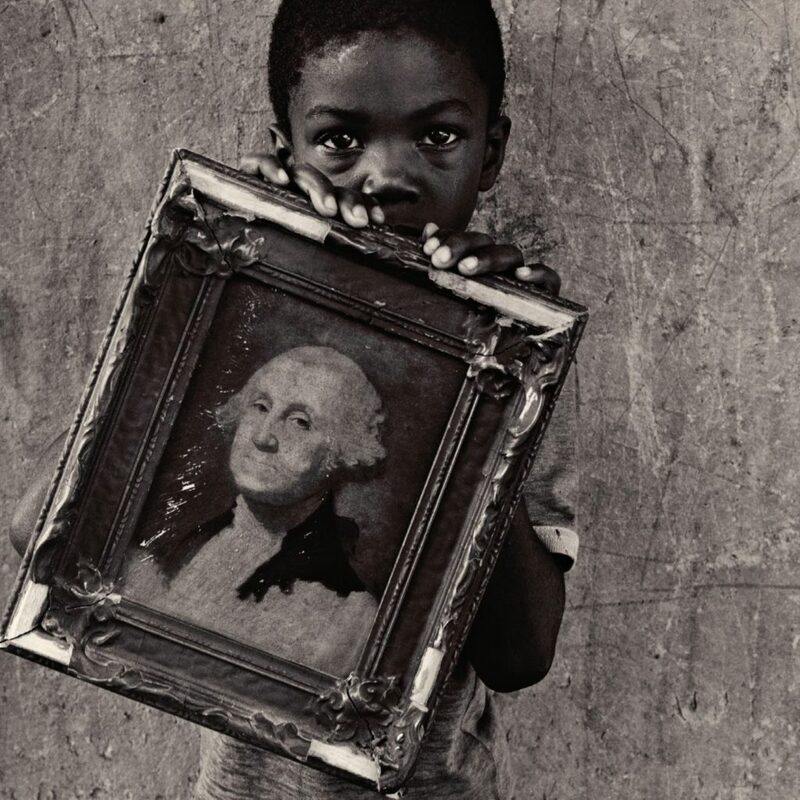 Called “a poet of the ordinary,” Keith Carter’s enigmatic images did not materialize overnight. Built on a foundation of perseverance and curiosity, his artistic vision has developed over many years of earnest hard work and an undeniable passion for photography. His career has been built in collaboration with his wife of 37 years, Patricia. Her unwavering support and encouragement of Keith’s vision cannot be overstated. Together, this devoted couple has created a life full of adventure, art, and truly extraordinary images. Q – Can you speak about your mother’s ingenuity and entrepreneurship in regard to her photography career? A – We had recently moved to Texas in the mid 1950’s when my mother became a single parent with 3 children under the age of 6. She opened a one-room portrait studio and began specializing in black & white portraits of children. She would set up a booth at the county fair and run “Sunday Specials” – 2 5X7’s for $6.95. 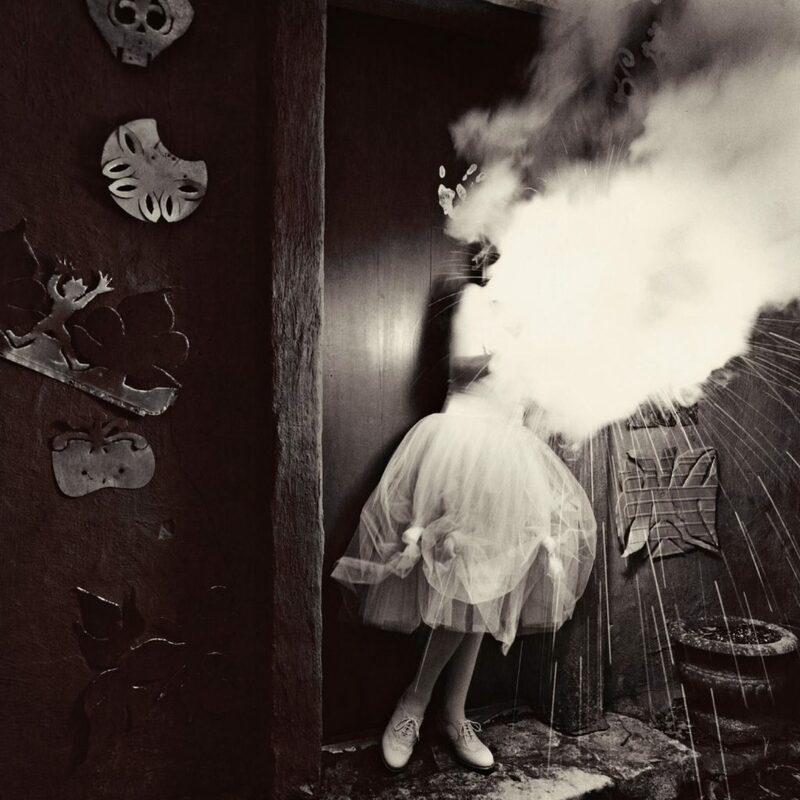 She photographed 50 kids one Sunday and turned our apartment kitchen into a darkroom at night. I can’t remember a time when she didn’t work. She had a good business sense and tried to model herself as specializing in outdoor portraiture at a time when it was not in vogue. Later she set up reps across Texas and toured twice a year. Q – What qualities of her work and life have most influenced how you approach your creative endeavors? A – She loved photography. You have to remember when she began, the business of professional portrait photography, at least in Texas, was primarily the domain of men. She worked hard. I grew up around photography but did not pay much attention in my youth. One day, in my first year of college, I came home and saw a group of her portraits stacked against the wall. It was the first time I had really paid attention. Her use of natural light just captivated me. I borrowed her camera, made some crummy photographs, and showed them to her. She said “Honey…you have a good eye. You have a nice sense of light.” I thought, “I do? I’ve never looked back. I think it was her early encouragement that gave me permission and confidence to have faith in myself. Q – You describe artist David Cargill as one of your first mentors. How did you first connect with him, and how did he influence your desire to create art? A – We lived in a boarding house when my family first moved to Beaumont. David and his wife Patty lived in the garage apartment and the garage itself was his sculpture studio. I would come home from kindergarten and he’d ask me about school. He was working on a life-size statue of Jesus for a church and let me play with the modeling clay. Creative people, particularly in a small town often recognize kindred spirits. My mom remained good friends with David and Patty for the remainder of her life. David also loved photography. He had his own darkroom and would let me borrow it when I was learning to print. He also has this magnificent art library and loaned me books on painters, sculptors, textiles, photographers, and industrial designers. I would bring him my photographs and he would crop them and we’d talk about design, perspective, and light. I’m self-taught in photography but I think of David as my art school training. We still have lunch every Wednesday. He has the most original mind of any man I’ve ever known. Q – Early in your career, you sold your motorcycle to finance a trip to New York City in order to view prints at the Museum of Modern Art. How did that experience guide your artistic education and photographic aesthetic? A – There was no photography being shown in museums and galleries in my region at that time. My aesthetic world, up to the point I took the Greyhound bus (really) to NY, revolved around art books. MOMA for me was like being a kid in a candy shop. I was on fire to learn and felt I was at the point I needed to see the real thing; actual prints made by the artists I revered. I had only seen reproductions. At MOMA, for 3 hours a day, 3 days a week I could look at almost any print I wanted. I quickly exhausted my list and the interns began suggesting work I should see. Today I think of it as my 3 week graduate school. It was also where I discovered Joseph Cornell and first saw Paul Strand’s glorious prints. When I returned home, I was transformed. Q – Can you discuss a few of the many ways your collaboration with your wife Patricia has enriched your career and encouraged your artistic vision to develop? A – Pat is the smartest, kindest, strongest, and bravest woman I have ever known. She’s always the first person I turn to for advice, discussions, opinions, and courage. Artists often need a “ideal” viewer, someone with no ax to grind, to tell you the truth about the work. She’s it for me. She’s also an extraordinarily beautiful woman. One of a kind. Q – On your 10th wedding anniversary you and Patricia set out to photograph 100 small towns in Texas. One of the parameters of the trip was to make only one image in each town. Can you share how challenging yourself with this project contributed to your confidence and growth as an artist? A – I didn’t really have a signature “style”, or “look” at the time we began that trip. I came up with the idea as a gift to Pat. We were both beguiled by the quirkiness and majesty of ordinary people and thought the trip would be fun. In many ways I had blinders on regarding what a good photograph should look like. On that journey I was forced to make photographs of seemingly arcane things because there wasn’t anything else around. I was forced to use light and compositions that I wouldn’t normally have used. It shook me up. As I progressed, I found I had an affection for the poetry of the ordinary. I learned I could make “good” photography anywhere, anytime, and anyplace. I use those lessons all the time. Q – Can you share your philosophy on the importance of belonging to a community, and what role that connection plays in the images you create? A – I think creative people need to belong to something. I think we need to put down roots which becomes the foundation for growth. In my youth I felt it was geographic. Now I’m not so sure. There are several ways to define community. East Texas, where I live, has ties to the Deep South. The folklore, religion, music, literature, and popular culture have all helped shape my thinking and my work. Q – As an established artist, in what ways do you continue to evolve and challenge yourself to create innovative new work? A – The beautiful thing about making art is the more you learn, the more spiritually enriched, refined, and civilized you become. I like to work on “projects” sometimes lasting several years. You have to learn to live with ambiguity in your life. I come from a film background and have had to learn the digital evolution. But I also recognize there is no romance in pixels for me. It’s a mushy way to learn photography. Lately, I’ve been learning the 19th century wet-plate collodian process using an old 8X10 view camera. Everytime you make a plate it’s like opening a Christmas present. It’s so laborious and capricious, you don’t know what you will find. I’m excited to see how it will inform my new work. A – I was on assignment for the New York Times Sunday Magazine to do a story on Angola Prison in Louisiana. There is a single, lonely road leading to the prison and I passed a sagging group of houses with a couple kids fixing a bicycle. I stopped to make a picture. I often ask children if they have anything they would like to have their picture made with. You never know what might happen. He came back with George Washington.